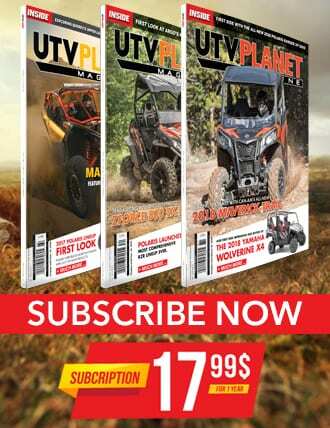 BRP has refined its impressive family of Can-Am off-road vehicles for 2018, by blazing new trails in the areas of pure-sport performance and meeting global recreational and utility demands with new specialty-use packages. 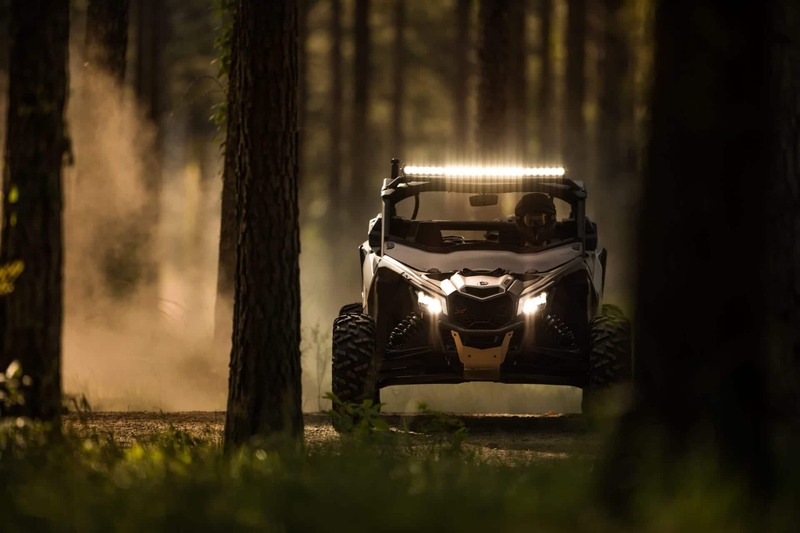 In addition to increased performance, adding exceptional value, revised componentry and strategic color choices further showcases the Can-Am brand’s industry leadership and market focus. 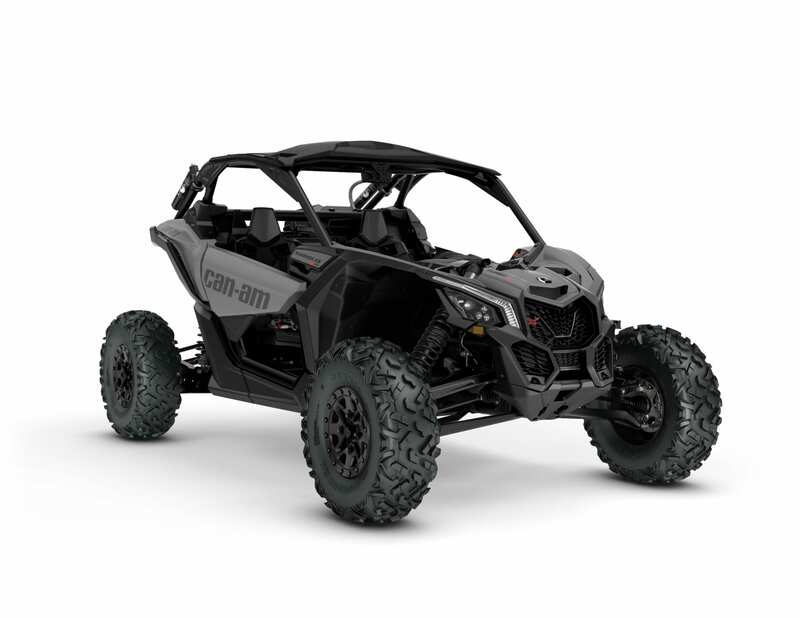 In another thrilling step in its effort to change the game in the off-road world and take over the super-sport segment of the side-by-side vehicle industry, Can-Am Off-Road has introduced the most powerful factory-built side-by-side vehicle on the market. 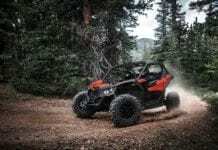 The turbocharged 172hp 2018 Can-Am Maverick X3 Turbo R side-by-side vehicle family features the same defiant, precise and powerful genetics, but raises the bar and redefines the super-sport side-by-side category by delivering 12 percent (+18hp) more horsepower and 10 percent added torque for unprecedented performance. The new flagship side-by-side vehicle can go from 0-60 mph in a mind-boggling 4.4 seconds, making it the fastest accelerating factory-built side-by-side vehicle on the market, period! The additional power is the result of resolute engineering and devotion to performance, one key pillar of all Can-Am vehicles’ DNA. The intercooler and fan were redesigned to maximize heat transfer (upwards of 49 percent more heat ow). With horsepower increase, a new fuel pump was added to create more volume to support the new power. In addition to the market-leading innovation and class-leading performance, the new Maverick X3 Turbo R family provides consumers with a fantastic value, as price did not increas (in the US) related to this sizeable 18hp power upgrade. 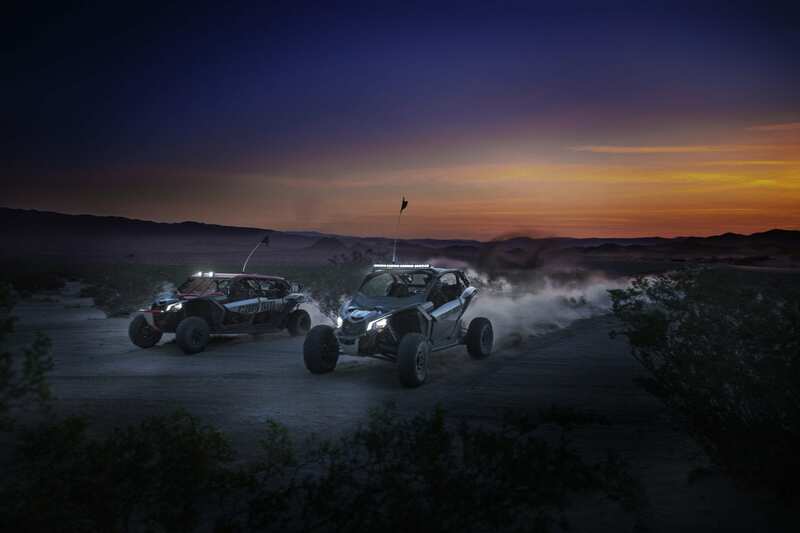 The 2018 Maverick X3 Turbo R and MAX X3 Turbo R packages are: X3 (base), X3 X ds and X3 X rs. The new model year also means new color offerings and components. To meet consumer demand, all Maverick X3 X rs vehicle packages (two and four-seat) now come standard with a factory-installed, retractable 4-point harness system. 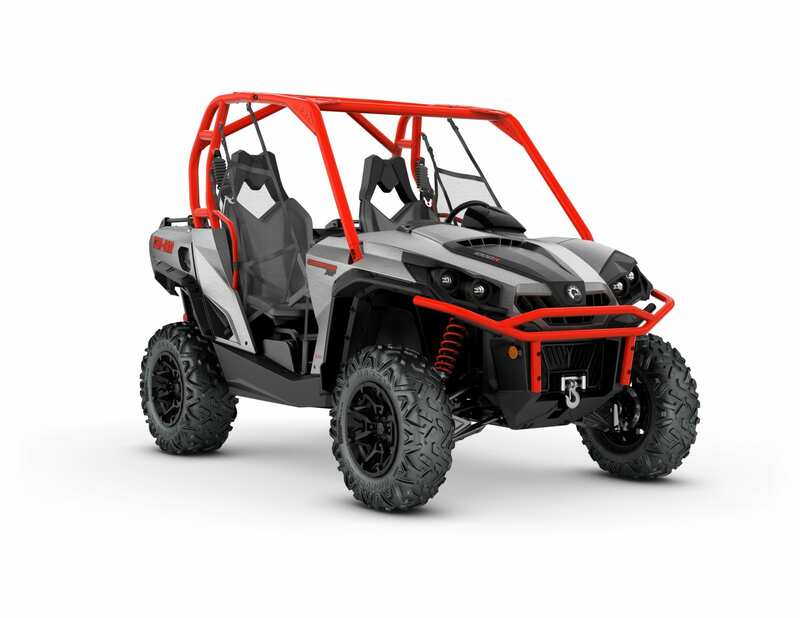 The Can-Am Maverick X3 side-by-side vehicle family also now includes the 120-hp Maverick X3 Turbo side-by-side, a market point-of-entry vehicle that offers more horsepower than competitive vehicles in its price point. 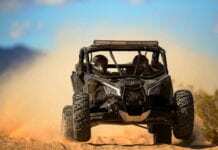 The new Maverick X3 Turbo family, offered in two-seat and MAX packages, also arrives with unbeatable value (starting at less than $20,000 USD in the US; two-seater) while including all the revolutionary X3 DNA. The features and benefits include the industry’s leading long-travel suspension (20-in. / 50.8 cm, front and the rear), the Rotax ACE turbocharged engine (no intercooler) and unparalleled design. 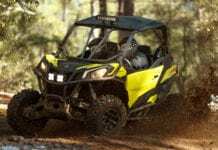 Shifting its focus to the heart of the side-by-side vehicle industry, Can-Am also chose to extend its offerings in the competitive Utility- Recreation (Ute-Rec). 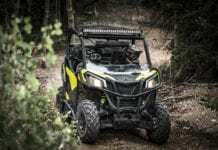 Two new models were added to the tough, capable and clever Can-Am Defender family of side-by-side vehicles. The 2018 Defender MAX HD8 vehicle is also a market point-of-entry model that retains all the Defender family benefits at a low price of $12,399 USD. With the ability to haul up to six people and 1,000 pounds in its cargo bed, the Defender MAX HD8 vehicle is as versatile as they come. A heavy-duty 50hp Rotax HD8 V-Twin engine and PRO-TORQ transmission team up to give the vehicle impressive power and torque for tackling tough trails and tougher jobs. The double A-arm front suspension and TTA-HD rear suspension provide 10-in. (25.4 cm) of suspension travel for trail comfort and tackling rugged terrain. A selectable 2WD / 4WD with Visco-Lok auto-locking front differential provides added control and nimbleness off the beaten path. New painted black cast-aluminum wheels with 27-in. (68.6 cm) Maxxis Bighorn 2.0 tires provide ample traction and a classic look. The t-and- nish includes the VERSA-PRO front and rear bench seating with ip-up seats and hooks for added cargo convenience. The all-new Defender MAX XT Cab HD10 arrives with a premium full cab enclosure from the factory and all the dependable and clever Defender family engineering bene ts. On top of all the Defender MAX XT features as standard equipment, the new MAX XT Cab HD10 unit’s cab includes a full glass windshield, wiper/washer kit, full doors with electric windows (front) and hinged windows (rear), hard roof with liner, an interior dome light and a sliding rear glass window. The cab kit was optimized for enhanced quality and to create a true 100 percent enclosed system. Along with full-seal cab, the onboard, factory-installed integrated heat management system was updated to better separate hot air and cool air. New front arched A-arms increase the XT Cab package’s track width as well as 11-in. ground clearance. 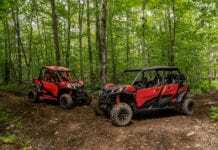 Add in a new stabilizer and the Defender side-by-side is more capable in the challenging terrain. 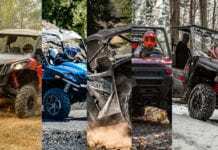 Four additional Can-Am Defender side-by-side vehicle family improvements were added for 2018. All XT packages get a new front bumper. New larger 27-in. (68.6 cm) Maxxis Bighorn 2.0 tires are now standard on both the HD8 and HD10 Convenience vehicles. 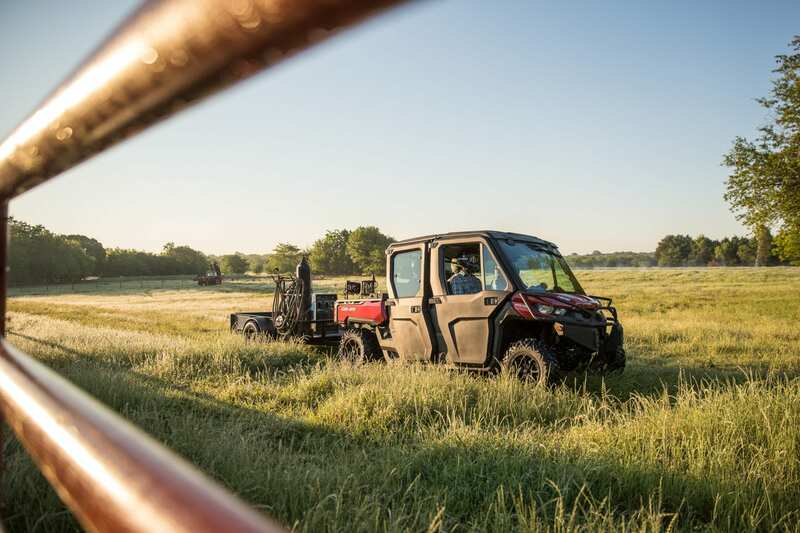 All Can-Am Defender family vehicles also receive a cargo box de ector to eliminate debris from the cargo bed reaching the engine compartment and a revised shifter gate for smoother operation and durability. The Commander family was revised to enhance consumer’s recreation-utility experience. The Commander 1000R (two-seat and MAX) side- by-side vehicle has received a significant update for 2018, with a power bump to 92hp (+7hp), a wider stance and larger brakes. The vehicle now features the Rotax V-Twin 1000R engine and transmission air intake system from the Can-Am Maverick 1000R. Another upgrade includes new 14-in. (35.6 cm) cast-aluminum wheels for improved dynamic handling experience. In spite of the improved performance and package upgrades, the 2018 Commander 1000R returns with the same price for 2018. In addition, in the US market, the Can-Am Commander 800 side-by-side vehicle has a $1,000 (USD) price drop for the new model year. The Commander Limited packages wear new FOX 2.0 QS3 Podium shocks offering tool-free adjustments to compression and numerous ne-tuning ranges for outstanding ride quality. A Bluetooth connector was also included as part of the Limited package.